“Our school didn’t have proper facilities to provide drinking water. We used to drink whatever we get and were often falling ill and missing our classes. But that is not the case now,” says Indira (name changed). 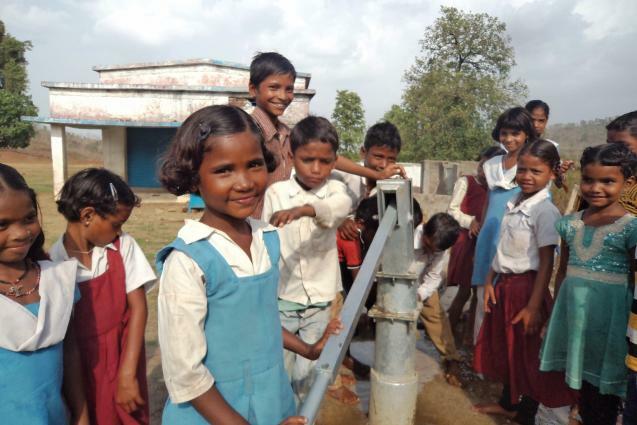 The 10-year-old, who is in class 4 at her village primary school in Mahakoshal region of Madhya Pradesh, is part of a Bal Panchayat that helped the children know their rights and even demand for a proper drinking water facility at their school. The Bal Panchayat was set up under ActionAid India’s programme intervention in the area. “Soon after the Bal Panchayat was formed, we held regular meetings where we discussed the drinking water problem of our school. We informed this to our parents and they raised this issue with the government,” she informs. ActionAid and its local partner MSJP encouraged the community to take up this issue with the local government . They did so with the help of community leaders and finally, the local administration sanctioned to install a hand pump at the school. What is a Bal Panchayat? Who conducts Bal Panchayat meetings? The children select a president and secretary from among themselves, and they organise the meetings during the holidays. They decide mutually on issues, and after the meeting they always have time to play together. The children ask for help from ActionAid if they have difficulty resolving any issues.